Florida Gov. Ron DeSantis moved quickly on Monday to find a replacement for one of his top hires who abruptly resigned after a newspaper obtained photos of him in blackface taken at a 2005 party. The Republican governor announced that Circuit Judge Laurel Lee would replace Secretary of State Michael Ertel. The move came just four days after Ertel stepped down once the photos of him posing as a Hurricane Katrina victim became public. The photos were taken several months after Ertel became election supervisor for Seminole County and just two months after the storm ravaged the Gulf Coast and left nearly 2,000 people dead. At the time, coverage of the 2005 storm took on a racial undertone as television footage showed mostly black residents of New Orleans in distress. Instead of replacing Ertel with someone else with direct elections experience, he tapped Lee, who has been a judge in Hillsborough County since 2013. Lee is a former federal prosecutor and federal public defender who is married to GOP State Sen. Tom Lee. DeSantis last week said he accepted Ertel’s resignation to avoid getting “mired” in controversies. Last year, DeSantis defeated Andrew Gillum in a bitter and at-times racially-charged contest. Gillum was seeking to become Florida’s first African-American governor. DeSantis selected Ertel at the same time he picked dozens of other high-level appointees shortly before he came into office in early January. The incoming governor assembled a transition team led by his campaign manager and including others such as U.S. Rep. Matt Gaetz that helped find people for the incoming administration. The northwest Florida Republican “strongly” urged DeSantis to hire Ertel but Gaetz has noted that Ertel had support from members of both parties. DeSantis interviewed Ertel before offering him the job. 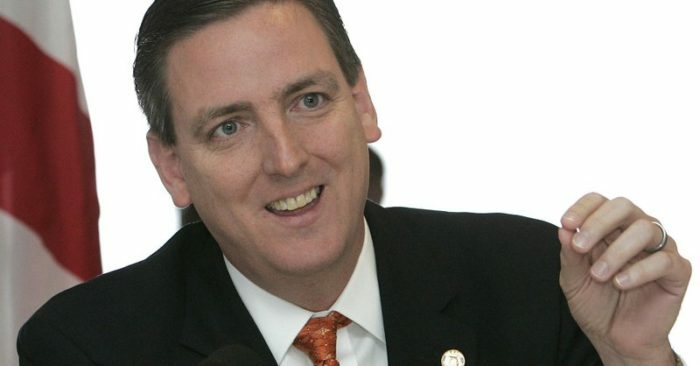 In his brief tenure, Ertel played a role in DeSantis’ decision to suspend Palm Beach County supervisor of elections Susan Bucher. Ertel recommended the governor take action against the Democratic official, contending that she had violated state election laws and was incompetent. Democrats have sharply criticized Bucher’s suspension as being politically motivated.